ArcGIS for Desktop includes two primary applications that are used for mapping and visualization: ArcMap and ArcGIS Pro. 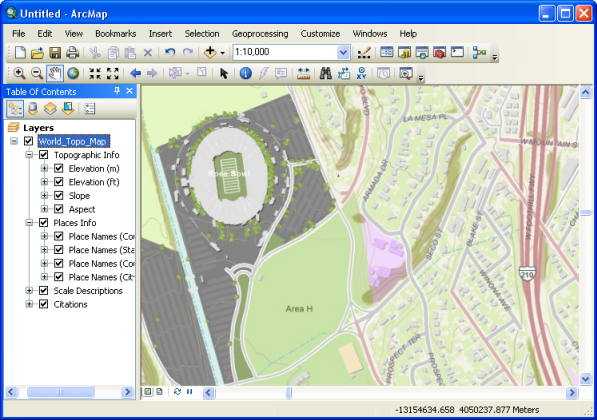 ArcMap has been the primary application used in ArcGIS for Desktop for mapping, editing, analysis, and data management. See What is ArcMap? for more information. ArcGIS Pro is the new application for creating and working with spatial data on your desktop. It provides tools to visualize, analyze, compile, and share your data, in both 2D and 3D environments.